(CNN) - There were a lot of questions surrounding Netflix's eye-popping claim that more than 45 million accounts watched "Bird Box" over the holidays. There's now data from Nielsen that backs up that number. Nearly 26 million viewers watched the film, which stars Sandra Bullock and Trevante Rhodes, over the first seven days of its release, according to measurement company Nielsen. This number does not include viewers outside of the U.S. and it doesn't include viewing that happened exclusively on mobile, tablet or laptops, which could explain why Netflix's number was so much higher. Nielsen measures Netflix and other streaming data in the same way it measures television broadcasts -- by sampling the viewership habits of its panel of 48,000 homes and over 118,000 people. The debut week viewership of "Bird Box" came in second to the debut week of season 2 of "Stranger Things" in October 2017, according to Nielsen, which has been tracking viewership on streaming platforms for about a year now. Netflix declined to comment on Nielsen's numbers. "Bird Box" also stayed consistent after it premiered. It drew an average of nearly 4 million viewers a day in the U.S. in its first ten days. The company reported that the highest single day of viewing for "Bird Box" came on it eighth day of release. "A very atypical event and likely attributable to the extraordinary buzz around the movie," Nielsen said. The film also brought in a young and diverse audience. Nielsen reported that 36% of the film's viewers were 18 to 34 years old, 57% were female and almost half were either African American or Hispanic. 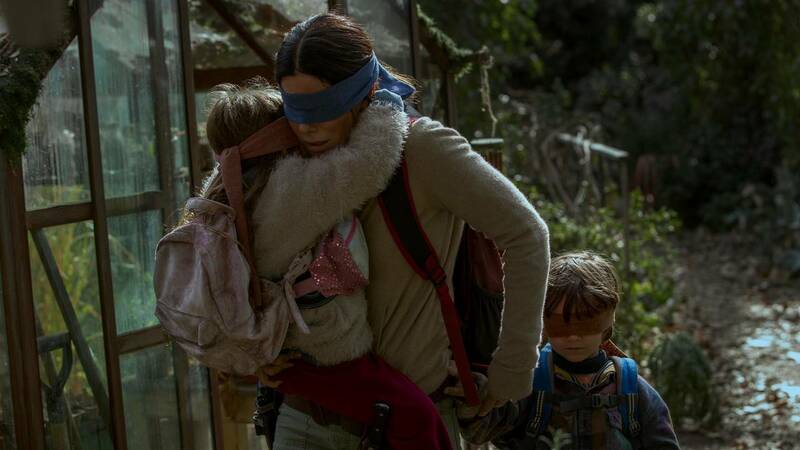 Netflix's claim that "Bird Box" was the most-watched movie in its history was met with questions and criticisms by media observers. Yet, anyone who uses social media could see that the film had a cultural impact. Scenes from the film have become popular memes on social media, and the film even inspired a new internet challenged called "The Bird Box Challenge" where people blindfold themselves and try to do everyday tasks.